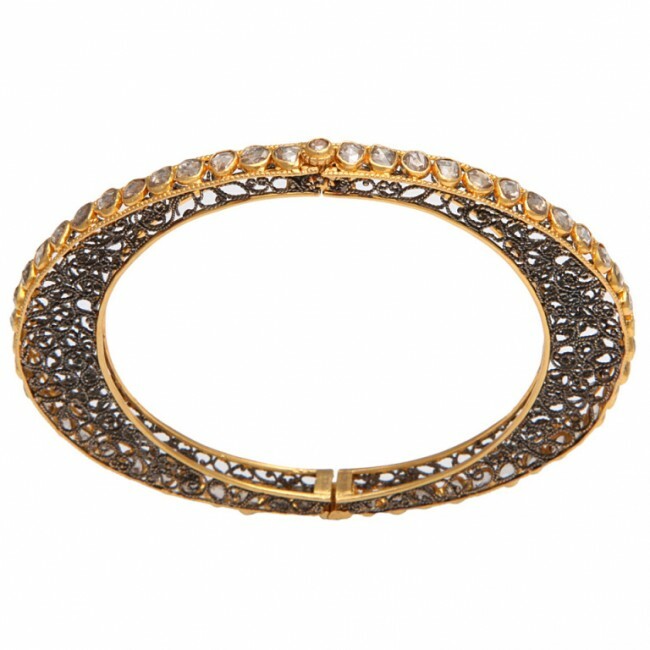 An 18kt yellow gold oval bracelet set with bezel set rose cut diamonds. The center of the bracelet is composed of rhodium plated sterling silver palmiers. The clasp is composed of a rose cut diamond set in an 18kt yellow gold flower which unscrews to open the bracelet.